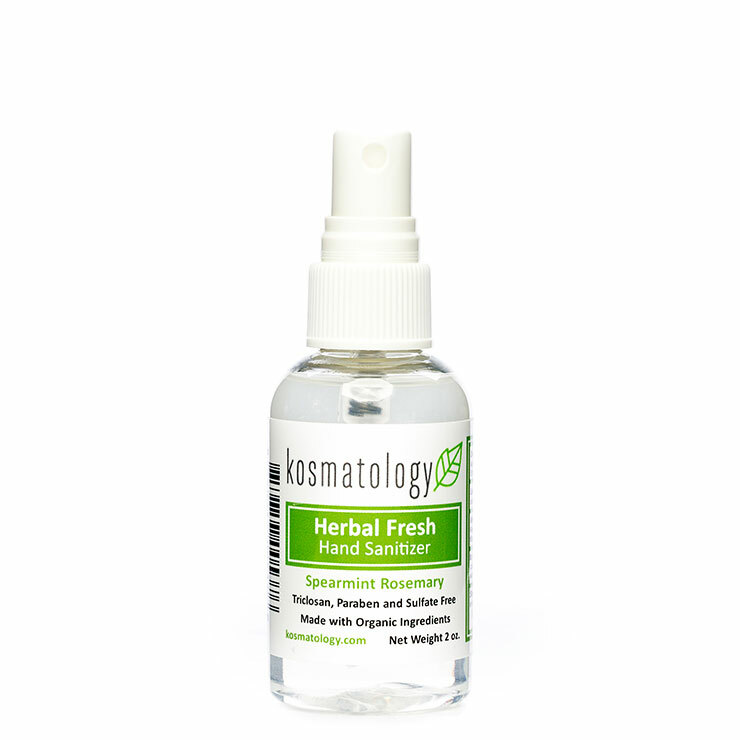 Cleanse hands on-the-go without harsh chemical ingredients with Kosmatology Hand Sanitizer. 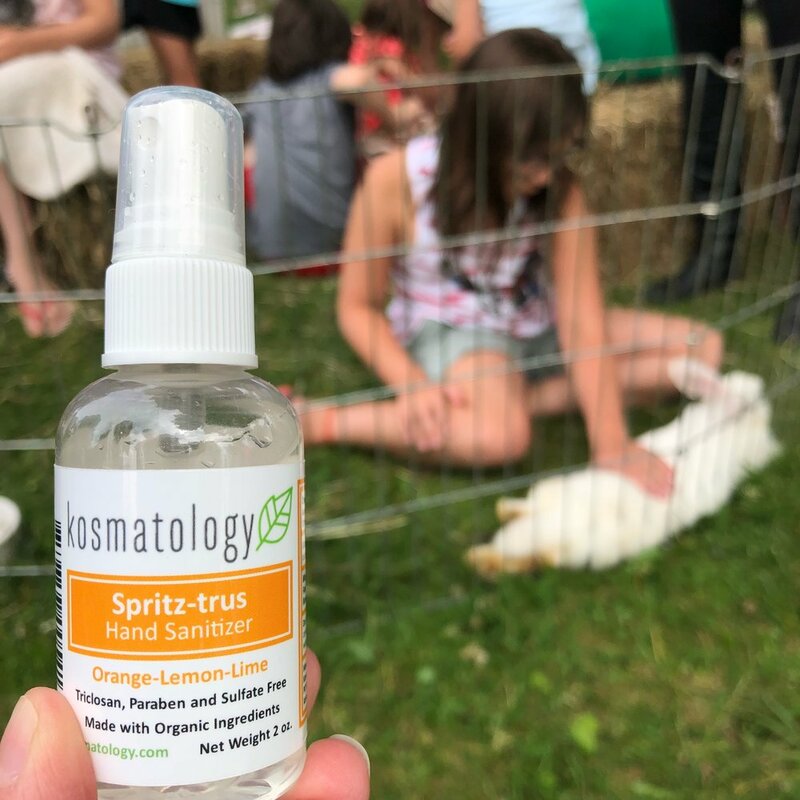 The convenient spray formula is made with 67% organic ethanol to cleanse, in combination with glycerin and essential oils for a soothing and lightly moisturizing feel. Lavender and eucalyptus leave skin feeling calm and refreshed. Spearmint and rosemary provide a balancing feel and invigorate the senses. 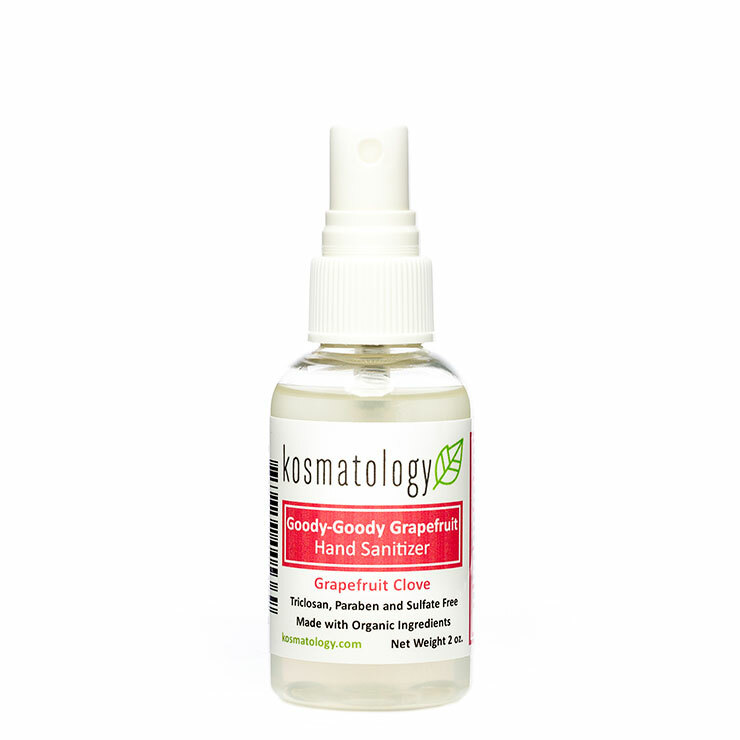 Grapefruit essential oil lends a cleansing and purifying feel to skin. 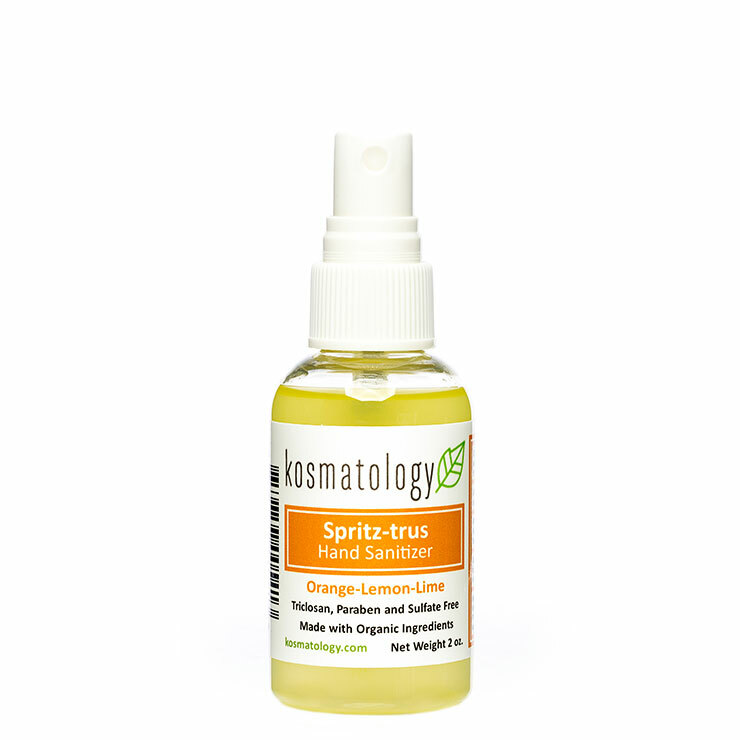 Orange, lemon, and lime essential oils revitalize the senses. Available in 4 fresh scents. 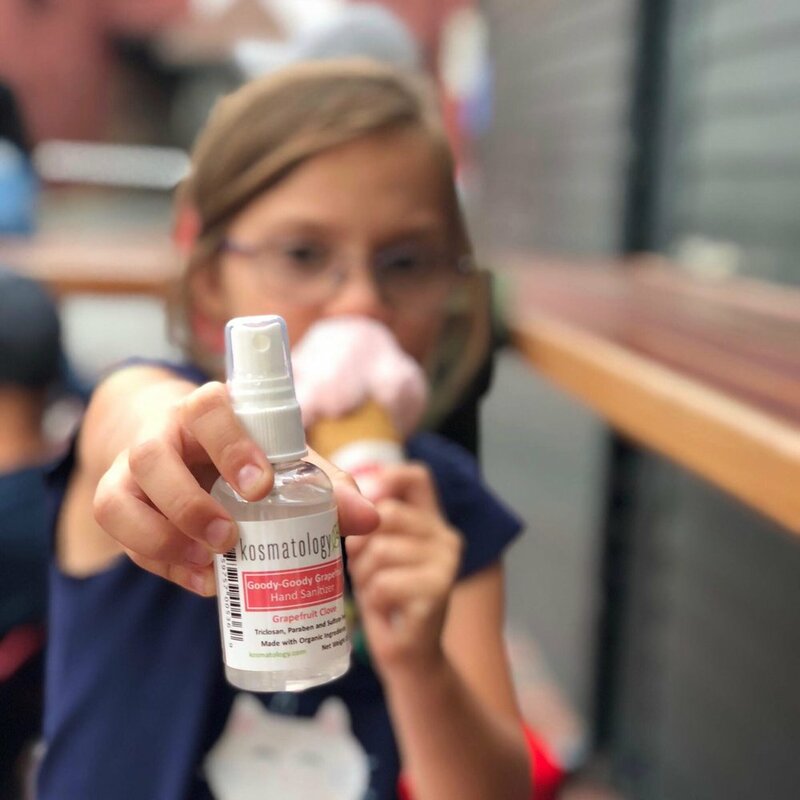 Spritz the non-toxic hand sanitizer spray onto hands anytime you feel the need for cleansing or refreshment. 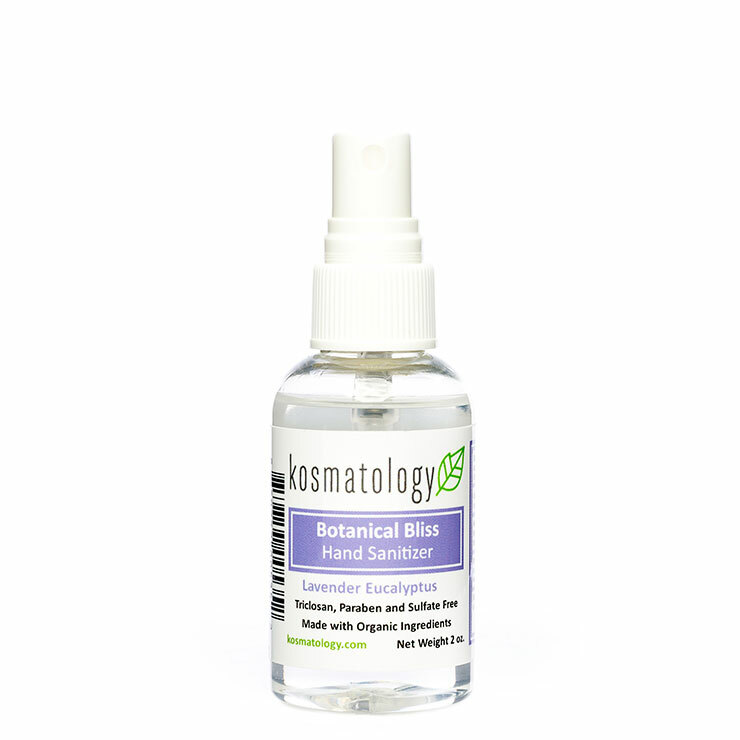 Ethanol, Aqua, Organic Glycerin, Organic Lavandula Angustifolia (Lavender) Essential Oil, Organic Eucalyptus Globulus (Eucalyptus) Oil. Ethanol, Aqua, Organic Glycerin, Organic Citrus Paradisi (Grapefruit) Essential Oil, Organic Syzygium Aromaticum (Clove Bud) Essential Oil. Ethanol, Aqua, Organic Glycerin, Organic Mentha Spicata (Spearmint) Essential Oil, Organic Rosmarinus Officinalis (Rosemary) Essential Oil. 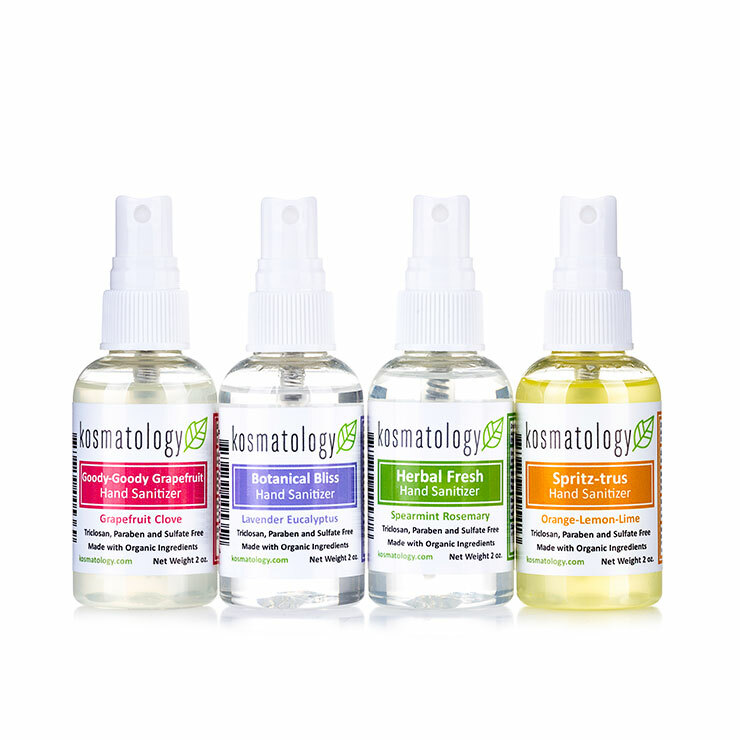 Ethanol, Aqua, Organic Glycerin, Organic Citrus Sinensis (Sweet Orange) Essential Oil, Organic Citrus Limon (Lemon) Essential Oil, Organic Citrus Aurantifolia (Lime Peel) Essential Oil.